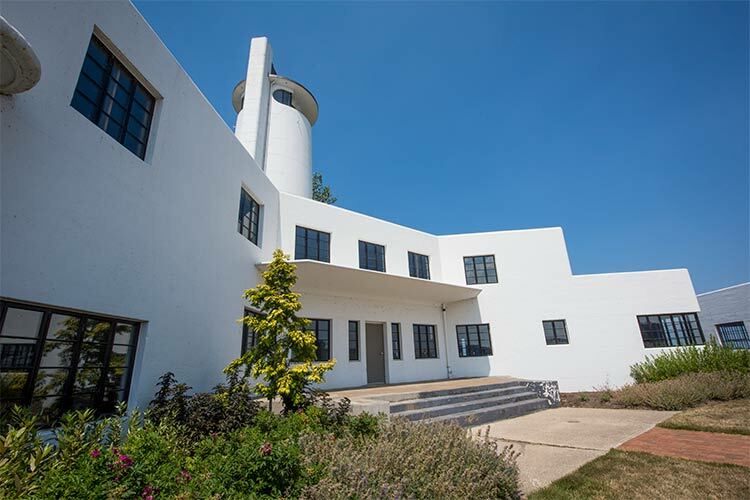 A historic U.S. Coast Guard station is now serving a new purpose following Cleveland Metroparks' first phase of renovations on the 1940 three-building complex. Situated on West Pier at the mouth of the Cuyahoga River on Whiskey Island, the station is now home to some of The Foundry’s sailing programs and the Metroparks' learn-to-sail classes, as well as an ideal location to appreciate Lake Erie’s beauty. The Coast Guard used the station until 1976, after which it sat essentially abandoned. In 2016, the Metroparks took over the complex—listed on the National Register of Historic Places—and began the first phase of renovations last year. The complex includes a 60-foot observation tower, an operations building and garage, and a boathouse. When in use by the Coast Guard, the complex housed living quarters and a dining room. 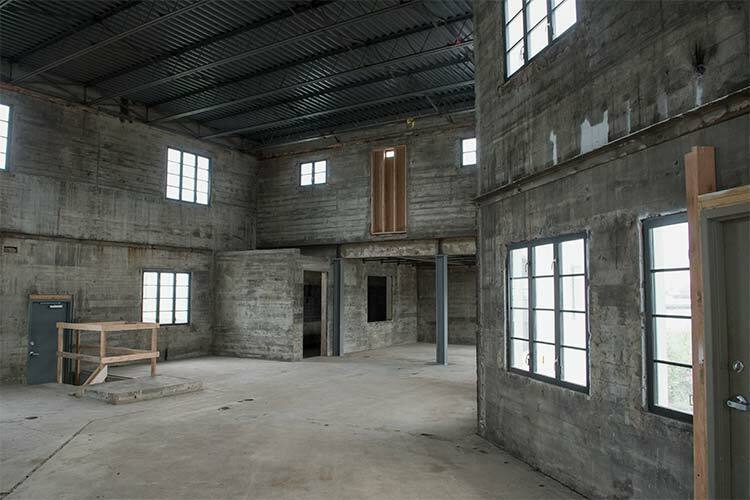 Today, the interior has been gutted, with Foundry Sailing Center set up in the garage near a state-of-the-art floating steel dock system outside with the capacity to hold various boats in the Foundry’s fleet. The building was designed by Cleveland architect J. Milton Dyer—who also designed Cleveland City Hall—in an architectural style similar to architect William Strudwick Arrasmith’s Streamline Moderne design style of the Cleveland Greyhound station. The Coast Guard station’s design is meant to mimic the streamlined profiles of ships on the water. One little-known fact, says Oliver, is that golfer Arnold Palmer once served at the historic Coast Guard station off Wendy Park. Oliver cites several partners that helped in the restoration and preservation of the station: The City of Cleveland, the Cleveland Foundation, the Gund Foundation, Burning River Foundation, Sherwin-Williams, PNC Bank, Oswald Companies, ArcelorMittal, Kent H. Smith Charitable Trust, and O'Neill Brothers Foundation. Furthermore, some of the recent renovation work was funded through Great Lakes Burning River Fest, an annual event held at the Coast Guard station on Whiskey Island for the past nine years. The fundraiser builds awareness of clean water initiatives and helps fund similar restoration projects through the Burning River Foundation. This year’s event runs Friday, August 17, and Saturday, August 18. Oliver says a date for the next phase of renovations to the station has not yet been set—as much of the space is still raw, and utilities have not yet been installed. “We will continue to work with the City of Cleveland and our partners to go through the master planning process and identify what the full [potential] of the structure could be,” she says. 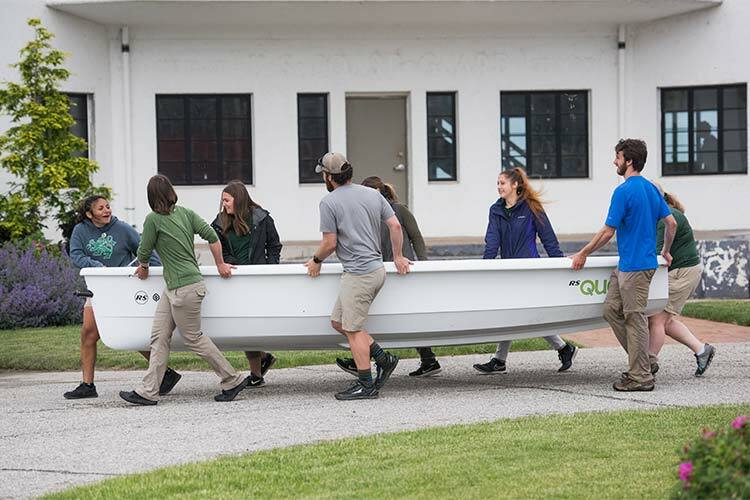 In addition to the Foundry’s sailing classes, the Metroparks will offer its Learn to Sail, Coastal Kayaking Basics, and Try-It paddleboarding classes at the Coast Guard Station. Sunset Paddleboard Tours are also being offered in June and July. For those who enjoy a more leisurely approach, the station serves as a great place to bird watch or take in the sunsets over the lake.